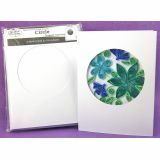 Cards & Envelopes 4"X5.25" 6/Pkg - QUILLED CREATIONS-Texture Blank Cards and Envelopes. 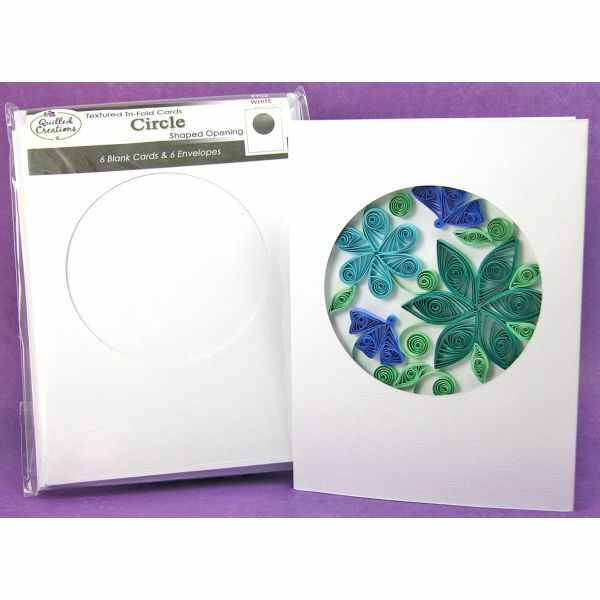 This collection of greeting cards was specifically designed for Quilling artists. The tri-fold design with a window makes them easy and versatile enough to use for all occasions from the everyday to birthdays, anniversaries to Thank You's. Cards are available with and without windows which come in a variety of shapes and styles: heart, circle, oval or a 4-pane window: each style is sold separately or available in a single variety pack. Each package contains six 5-1/4x4in white cards & envelopes or six 4x2in tags: Imported.